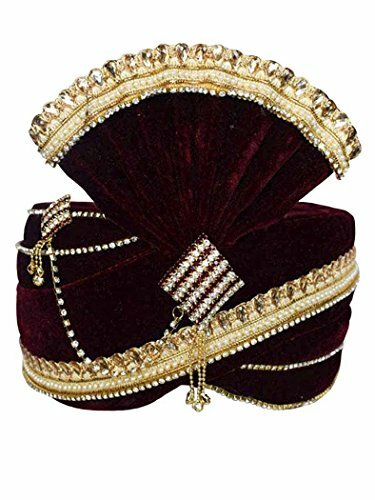 INMONARCH Mens Matching Gota Patti Bead Turban Pagari Safa Groom Hats TU1093 22H-Inch Maroon by INMONARCH at SCRHI. Hurry! Limited time offer. Offer valid only while supplies last. Matching Gota Patti Bead Turban with a brooch made form Maroon color. This turban is made for weddings and other special festive occasions. Matching Gota Patti Bead Turban with a brooch made form Maroon color. This turban is made for weddings and other special festive occasions. Handcrafted by the turban makers of Rajasthan, India. Dryclean only.